The tricky Cambridgeshire syndicate I have been fishing for the last few years has certainly lived up to its reputation this year. It seams the only way to keep bites coming is to keep ringing the changes. The fish seam to wise up very quickly once a couple have been caught off of a spot. This particular trip I returned to an area of the lake that I had put a fair bit of effort into earlier in the summer with reasonable success. After a few casts I discovered that my spots had started to weed up a bit but were still very fishable. I’m not a great fan of spots once they get fully cleaned off as I feel it puts wise old fish like these on their guard too much. I baited each spot with a few spombs of chopped Manilla and over the top I fished with a fairly long multi rig consisting of the ever reliable Tungsten loaded in the green with a size 4 Cryogen curve. I baited the rigs with combinations of small pop-ups or the mega buoyant double corn. These would sit perfectly in the light weed. Gentle bite for a big fish! A good friend of mine who had been lucky enough to bag the big linear a couple of weeks earlier popped down for a cuppa and to show me his photos. We were chatting away when my left hand rod gave out a couple of bleeps and the bobbing had risen an inch or so. A common occurrence on weedy venues. Head torch on and I was watching the rod tip. Without any more indication from either the alarm or the bobbin the rod tip tapped ever so slightly. I was convinced a bream had hung itself and was sitting in the weed. 30 seconds or so later again the rod tip nodded slightly, and now it was time to investigate what was hanging on the end. I picked the rod up and wound down. A couple of gentle kicks had me convinced my initial feelings were correct and one of the big old bream had hung itself. It came in with no dramas or real resistance to speak of. 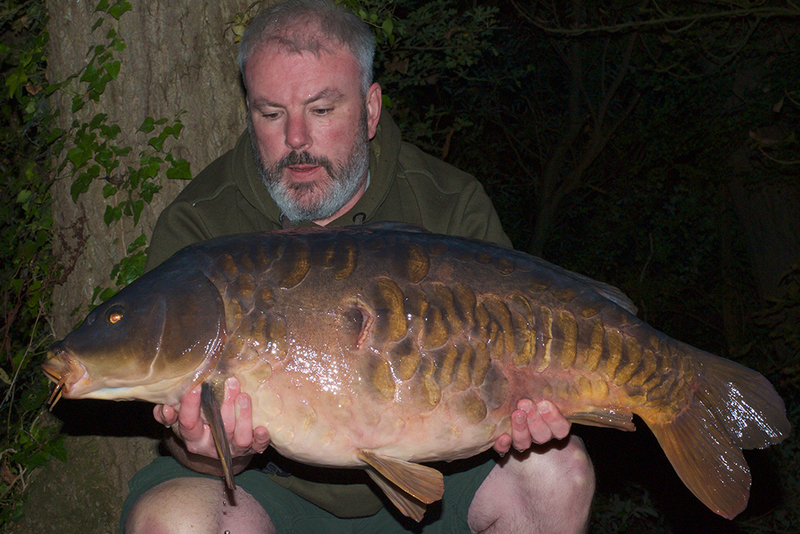 When it was about 15-20 yards out I flicked the head torch back on getting ready to unhook it in the water. 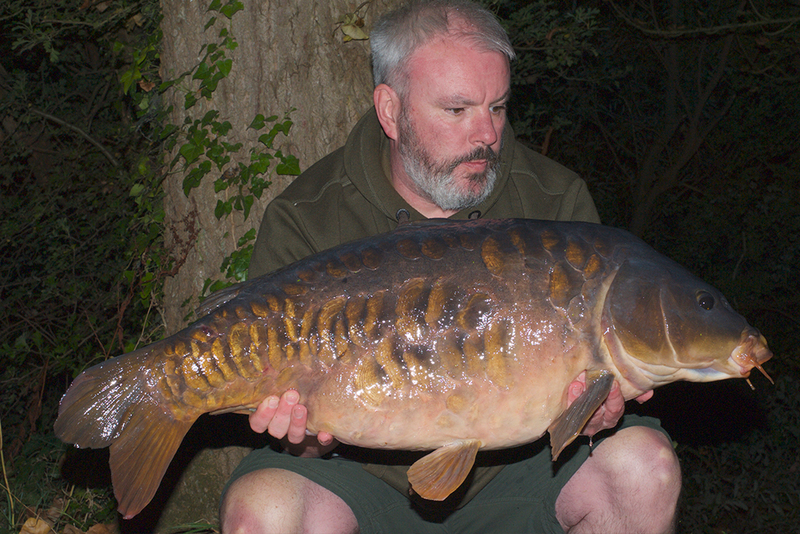 I was greeted with the sight of a decent sized carp which all of a sudden woke up a bit. It plodded around for a short while under the rod tip before rolling over and admitting defeat. I’m led to believe it’s a rare visitor to the bank, and after seeing the kind of bite it gives I can see why it may get away with it on many occasions. Not today though!